Fluorescein Sodium is a brightly colored dye. It is used to check the surface of the eye for scratches, for corneal and conjunctiva problems, evaluation of contact lens fitting and in applanation tonometery. 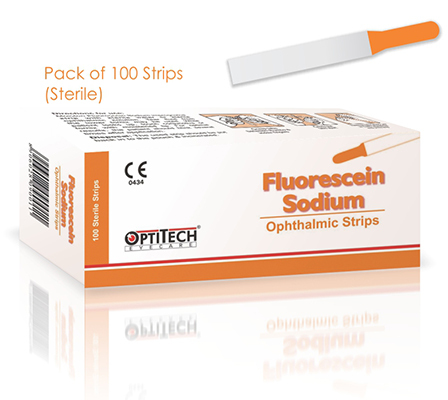 Each strip is impregnated with 1 mg Flourescein Sodiuim.